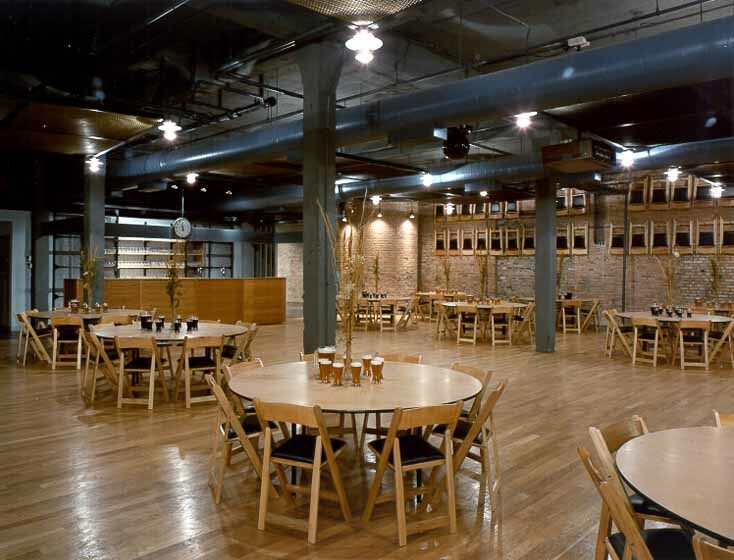 Situated one floor above an existing microbrewery, this former plant for the Turtle Wax Company was converted into a banquet space. 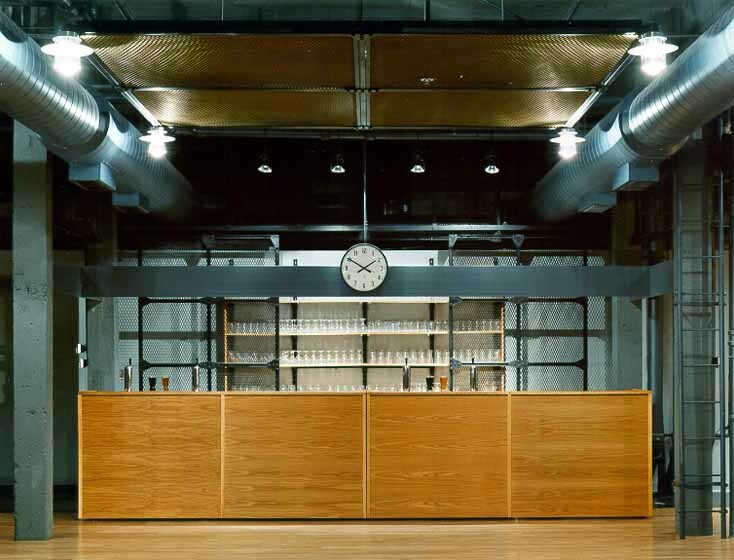 The rough brick walls of the factory were complimented with an industrial infrastructure of acoustic clouds, lights, and table trucks. 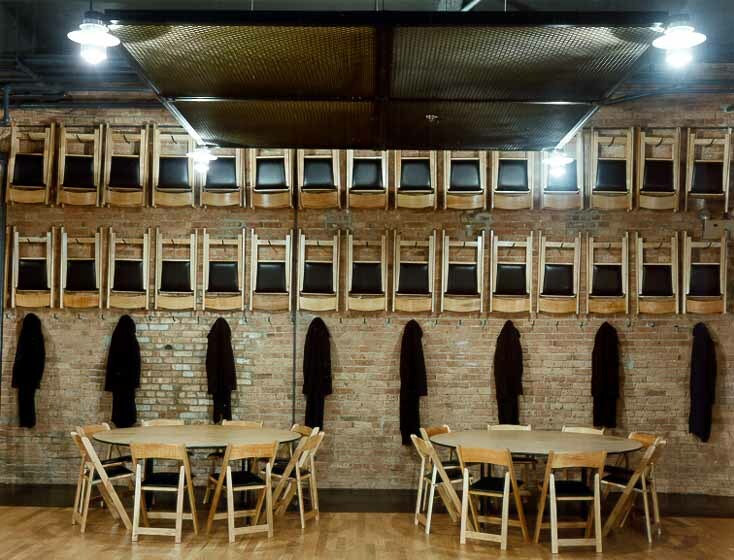 A blonde wood floor, inset in a dark stained border, is surrounded by walls full of folding wood chairs.